This FAQ is for the Online MCS and Online MCS in Data Science (MCS-DS). The general FAQ about Illinois Computer Science graduate admissions is located here. 1) What is the Online MCS? 2) What is the MCS-DS? 3) What will appear on the diploma or transcript? 4) How is the Online MCS offered? 5) How is an Online MCS course offered using the Coursera MOOC platform? 6) How are Online MCS courses different than typical Coursera MOOC courses? 7) Do the two Coursera MOOC courses and the high-engagement portion need to be taken concurrently? 8) I completed a Coursera specialization. Will I earn graduate credit at the University of Illinois? 9) Are students expected to be proficient in a particular programming language? 10) How do students apply for the Online MCS or MCS-DS? 11) What if my undergraduate GPA is less than 3.0 (on a 4.0 scale)? 12) When do Online MCS classes start? 13) What classes are offered for the Online MCS program? 14) Will non-degree graduate students be able to take Online MCS courses? 15) Is financial aid available for Online MCS students? 16) Is it possible to transfer from the MCS-DS program to the Online MCS program? 17) Do international students in these programs receive an I-20? 18) How can I get more information about the Online MCS and MCS-DS? 19) I have reviewed all information on the website and have remaining questions. Can I speak with an advisor? The Online MCS is a professional, non-thesis, Master of Computer Science degree that requires 32 credit hours of coursework. Students can complete the eight courses required for the Online MCS at their own pace, in as little as one year or as many as five years. Students receive lectures through the Coursera platform, but are advised and assessed by Illinois faculty and teaching assistants on a rigorous set of assignments, projects, and exams required for university degree credit. The MCS-DS is a focused track of the Online MCS whose requirements are fulfilled by courses in Data Science. A professional coursework-based degree program, the MCS-DS builds expertise in core areas of computer science like data mining, machine learning, cloud computing, and data visualization, in addition to building skills in statistics and information science. The Online MCS is a 100% online degree offered through the Coursera MOOC platform. To satisfy the degree requirements, students will complete 8 University of Illinois credit-bearing courses, with each course representing 4 credit hours (for a total of 32 credit hours). Each MCS-DS credit-bearing course is offered on a semester schedule (fall, spring, summer). Each course may run as long as the full 15 weeks available in a semester, though some courses may be shorter. Each credit-bearing semester-based Online MCS course consists of two shorter 4-6 week Coursera MOOC courses plus additional credit-bearing components such as exams and/or projects. The two Coursera MOOC courses provide the lecture and lesson videos of the Online MCS course, as well as peer and auto graded quizzes and assignments. The credit-bearing components for each Online MCS course provides the ability for University of Illinois faculty and staff to assess work submitted in addition to the requirements of the Coursera MOOC courses. 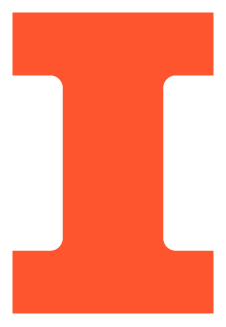 Faculty and staff provide guidance, advice, and feedback on submitted assignments, projects, and exams to students registered for University of Illinois credit. 7) Do the two Coursera MOOC courses need to be taken concurrently with the for-credit portion of an Online MCS course? This is not required, but we do recommend they all be taken concurrently. A student can complete one or both Coursera MOOC courses prior to completing the Online MCS for-credit course. Any assignment that was only peer or auto-graded for a previous Coursera MOOC version of a course can be re-submitted when taking the Online MCS offering of the course for consideration by the faculty and staff to satisfy the requirements to confer university credit. Completion of Coursera MOOC courses/specializations associated with the Online MCS program by itself will not earn graduate credits from the university toward the degree. Students must be registered in the University of Illinois credit-bearing semester-based Online MCS courses to earn graduate credit. Students are expected to be proficient computer programmers to be admitted to any Master of Computer Science program. At the Masters level, students are expected to learn new programming languages on their own as needed, to develop the skill of using the appropriate programming tool to solve a particular problem. Please see the application deadlines posted on our website. University campus policy requires a GPA of 3.0 (on a 4.0 scale) for the last two years of undergraduate study for admission to any graduate program, but students admitted for the MCS degree typically have a GPA in excess of 3.2. The admissions committee will review applications with borderline GPAs which otherwise have a record of exceptional achievements. However, the likelihood of applicants with a GPA less than 3.0 being admitted to the MCS-DS program is expected to be low due to the competitiveness of the applicant pool and cohort size. Applicants who do not meet the minimum GPA requirements for this program are encouraged to make a realistic self-assessment before submitting an application. Online MCS classes follow the standard academic calendar at the University of Illinois at Urbana-Champaign. 13) What classes are offered for the Online MCS and MCS-DS? A list of courses for the Online MCS is available here. A list of courses for the MCS-DS is available here. Online MCS courses can be taken by non-degree students, but registration will be limited to the remaining capacity after Online MCS students have been registered. 15) Is financial aid available for Online MCS or MCS-DS students? Illinois Computer Science does not offer research or teaching assistantships to students enrolled in our online programs, including the Online MCS and MCS-DS. Domestic students may qualify for Federal Student Aid. No. There is a separate admissions process for the MCS-DS and the Online MCS programs. 17) Do international students in this program receive an I-20? No. All requirements in the MCS-DS program are satisfied online. Students are not required to arrive on campus to meet any degree requirements. As such, no I-20s are issued. Sign up for updates by completing Coursera's Interest Form for the Online MCS or the separate Form for the MCS-DS. For specific questions about the Illinois degree options, email online-mcs@cs.illinois.edu. Please review all information available on our website. You can also email us at online-mcs@cs.illinois.edu. An advisor will be available online every Friday (other than campus holidays), 11:00 AM - 12:00 PM U.S. Central Time to help answer your questions. Several options are available to join these sessions.